Qualification Requirements: If you do not meet the qualification requirements in competition before 11 October 2019, you will not be eligible to compete in those events. Please see the Qualification tab to see all times required. Final Round Advancements: For all events with more than one round we will be taking a minimum number of UK competitors to the final. If necessary, we will increase the size of the final by one competitor at a time until we have enough UK competitors. 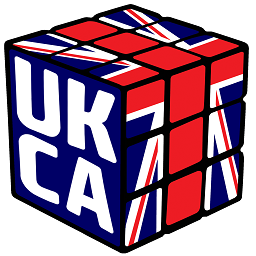 The requirements are as follows: 3x3x3 with Feet - 4 UK competitors; 2x2x2 Cube, 4x4x4 Cube, 5x5x5 Cube, 6x6x6 Cube, 7x7x7 Cube, 3x3x3 Blindfolded, 3x3x3 One-Handed, Clock, Megaminx, Pyraminx, Skewb, Square-1 - 6 UK competitors; 3x3x3 Cube - 8 UK competitors. Please Note: As this is the UK Championship, only competitors who represent the United Kingdom will be eligible for prizes. The competition remains open for all nationalities to compete. Online registration will be open from to . Please be aware that there are many qualification requirements for this competition. If you do not meet the qualification requirements in competition before 11 October 2019, you will not be eligible to compete in those events. Please see the Qualification tab to see all times required. You are viewing the schedule for the venue The Forum. This event has many qualification requirements. For the events that list only a time, you must have achieved an average or mean faster than this. These qualification requirements must be obtained at a WCA competition by the 11th October otherwise you will be removed from the event. A: First you need to make sure you have created a WCA account. You can do this by going to the sign-up page and creating an account. Once you have created the account and confirmed your email address, follow the menu bar to the Register page and follow the instructions carefully. A: Please make sure that you have followed the instructions listed on the Register page. You could also be on the waiting list. The competitor limit can be found on the General Info page, and you can see the number on accepted competitors on the Competitors page also on the menu. If you have done everything correctly and the competition is not full then just be patient. We have to manually approve registrations and the organisers aren't available all the time. If you believe you have followed the steps correctly but still are not on the registration list after 2 days, then feel free to email us at the contact link on the General Info page. Q: Why are there so many events with a qualification time? A: As the UK community has grown, it has become very hard to find a big enough venue for the UK Championship each year. As a result we have qualification times for a number of events as the main purpose of this competition is to ultimately crown UK Champions in every event. We still have many other events all throughout the country that hold a variety of events throughout the year with no qualification times! Q: What happens if I don't meet the qualification requirements? A: If you register for the competition, we will not remove you from events you do not qualify for straight away. If you do not meet the qualification requirements in competition before 11 October 2019, you will not be eligible to compete in those events. After that date, we will amend registrations so that only competitors who have qualified will participate. Q: Why have I been removed from some events? A: As the UK Championship is the busiest competition of the year, we have some qualification requirements for many events. Please see the question above. A: We recommend that you check out the Events and Schedule tabs - if you can make the time limit for the events you want to compete in, then you're fast enough! Loads of people come to competitions just to beat their own personal bests, and meet likeminded people, with no intention of winning or even making it past the first round. Q: I'm a parent, what can I do to get involved? A: If you're looking for something to do then you can certainly help out with the running and judging! We pretty much always need help with this and they are really easy procedures to follow. You can come to the introduction to competing where we go through all of it there. Running is also great for step count and requires zero knowledge of cubing if you're worried about that! There are thousands of puzzles at these events, make sure to keep yours together so you don't lose them! Keeping them in a bag and looking after it at all times is recommended. If you do lose a puzzle, please contact us at the link on the General Info page, it is likely that someone has handed it in to us. This competition is once again being held in The Forum, right near the centre of Stevenage. The entrance to the venue is up the stairs at the back behind the Ibis hotel. Car: There is no free parking for this venue, however the Westgate Shopping Centre has a car park that is relatively cheap and can be found by GPS at the postcode SG1 1QR. Train: Stevenage train station is only a short walk away from the venue. Plane: The nearest airports to Stevenage are London Stansted and London Luton. There are good connections to Stevenage by train and coach from both airports. Coach: National Express has a lot of coaches from many places that will take you right into Stevenage. The nearest hotel to the venue is the Ibis, which is directly attached to the venue. The Holiday Inn is only a few miunutes walk to the venue and may be a slightly cheaper alternative. There are also plenty of other options available that are not listed.